The Analog PH Sensor Kit is specially designed for Arduino controllers. It has an LED which works as the Power Indicator, a BNC connector and PH sensor interface. It is very easy to use. Operating Voltage is 5V DC. The best environment temperature is about 25 degree. 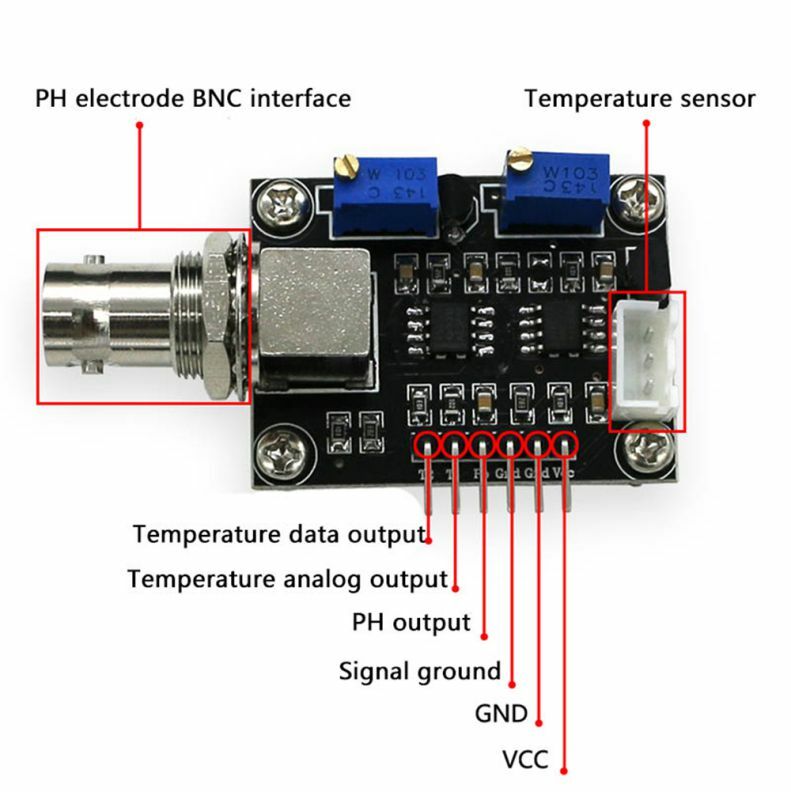 The pH Probe is connected to the BNC connector on the pH Sensor Module，and then use the connection lines,PH Sensor Module is connected to the analogue port 0 of the Arduino controller. When the Arduino controller gets power, you will see the blue LED on board is on. The Analog PH Sensor Kit is specially designed for Arduino controllers. It has an LED which works as the Power Indicator, a BNC connector and PH sensor interface.